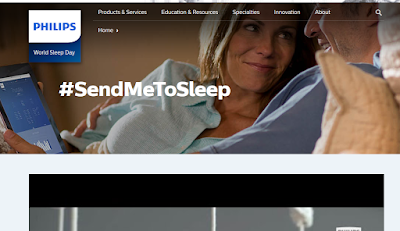 Royal Philips announced the launch of the “World’s Sleepiest Website,” an online resource to help those who struggle with sleep get a better night’s rest. Released in support of the World Association of Sleep Medicine’s annual World Sleep Day, the website features a variety of visual content, including videos and images to help restless sleepers and to serve as a resource for chronically sleep deprived individuals who may have an underlying sleep issue. The campaign aims to drive awareness and education around sleep issues, and is the latest effort in the company’s continued dedication to enhance the lives of patients suffering from obstructive sleep apnea (OSA) or other serious sleep disorders. While the occasional sleepless night can be frustrating and inconvenient, people who consistently suffer from inadequate sleep can experience poor academic or work performance. According to a 2015 Philips Respironics survey that surveyed people in 10 countries, 96 percent said sleep was valuable to them and 87 percent ranked sleep as an influence on their overall health and well being; however of those surveyed, only 17 percent consistently slept through the night.